According to the legendary account of his life, St. Christopher was a noble Cannanite man who converted to Christianity after a near-death experience. He was instructed in the Christian faith by a hermit who suggested that, because of Christopher's size and strength, he should help people across a dangerous raging river that had taken the lives of many. Christopher, eager to serve Christ in any way he could, chose to do as the hermit had suggested and helped many across the dangerous river. After Christopher had performed this service for some time, a little child asked Christopher to take him across the river. During the crossing, the river became swollen and the child seemed as heavy as lead, so much that Christopher could scarcely carry him and found himself in great difficulty. When he finally reached the other side, he said to the child, "You have put me in the greatest danger. I do not think the whole world could have been as heavy on my shoulders as you were." The child replied, "You had on your shoulders not only the whole world but Him who made it. I am Christ your King, whom you are serving by this work." The child then vanished. Today, the image of St. Christopher with the Christ child on his back is one of the most common. 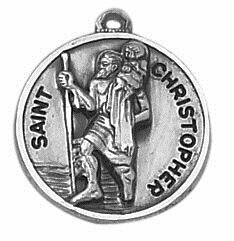 As Catholics, we look to St. Christopher to help keep us safe in our travels. 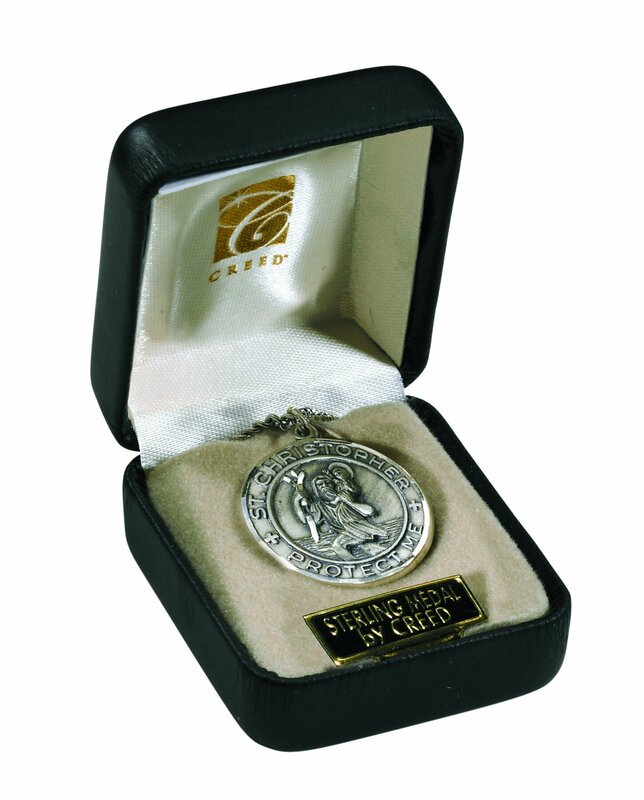 Each of these detailed sterling silver medals is a great reminder of God's love for us and a beautiful tribute to our patron saint of safe travel.